Here we go, the 3rd party iPad 2 cases are starting to roll out and employ Apple's Smart Cover functionalities. 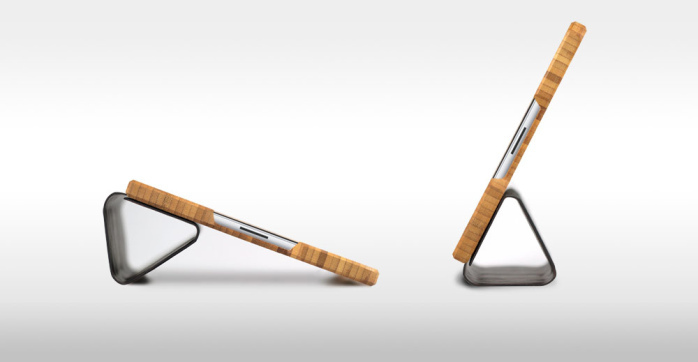 Grove are one of the first to come out with a bamboo case for the iPad 2 that acts similarly like a Smart Cover and features a natural vegetable tanned magnetic leather cover which double as a stand for typing and viewing movies. The Grove iPad 2 case is now available to pre-order at $79, with more options to come like laser engraved designs on the leather cover. Orders will only start to ship out in 3-6 weeks so you might want to grab one of those Smart Covers in the meantime.